Roll up, roll up, for the circus is in town – and not just any old circus. 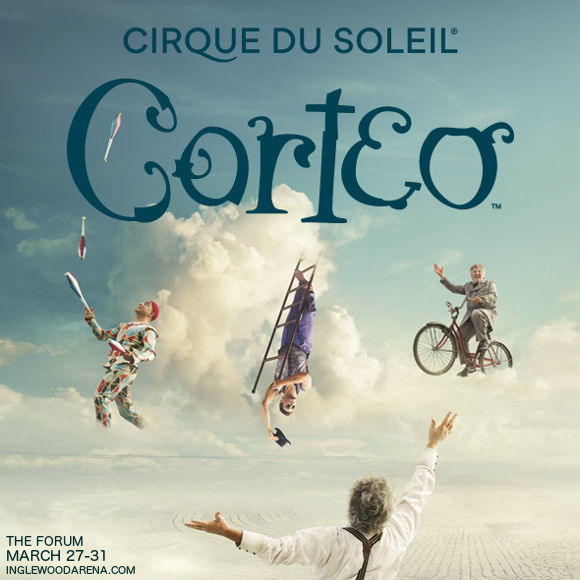 The Forum is proud to present none other than the world-famous Cirque du Soleil with their touring production Corteo!! Catch the magic and mystique of Cirque du Soleil live at The Forum on Friday 29th March 2019 – its guaranteed to be simply phenomenal!! Book your tickets NOW!! All Cirque shows follow a loose storyline, but Corteo’s is more structured than most; focused on the bizarre premise of a dying clown as he passes into the afterlife and bears witness to his own incredibly complex and colourful funeral. Props play a key part in Corteo, with traditional circus ropes and silks being replaced by objects not usually seen in this context such as chandeliers – watching the performers interact with these props is a fascinating juxtaposition and a joy to behold. An air of mystery permeates the show – audiences will be mystified to see an upside-down tightrope walker in addition to many other virtually impossible feats. Adults and children alike are guaranteed to be enchanted by the strange world of Corteo – its a must-see for any CIrque fan! Have you got your tickets yet?